Today was a warm and beautiful day (what a strange winter we’ve been having over here). Too bad I was mostly unaware of it because I work in a basement, but at least I had a nice walk home. And now that the sun is about to set, I think I’ll plop on the couch next to an open window and watch Downton Abbey (oh, please tell me you love it, too!) while drinking tea and eating crunchy biscuits. I’m quite certain that Mrs. Patmore didn’t make Chocolate Biscotti for the Crawleys, but I bet these are tastier than the whatever dry cookies went into the biscuit jar in those days. These are full of flavor. I contrasted the dark cocoa and espresso base with chunks of white chocolate and macadamia nuts. Mmmm…they sliced and baked nicely and are good keepers, too. For the recipe, see Baking: From My Home to Yours by Dorie Greenspan or read Daisy Lane Cakes, as it was Jacque’s pick back in June. I love this biscotti recipe. I have made it several times since it was chosen for TWD. and I am in love with Downton Abbey. Love, love it. I actually picked up The Tudors on netflix for during the week because Sunday to Sunday is too long to wait. I recommend it if you are into the period pieces, which it seems you are. They look so delicious and like the perfect accompaniment to a cup of coffee or tea. I love biscotti and will have to track down this recipe. They look wonderful. These look fantastic! I have just recently decided that I like biscotti, and these look wonderful! I just started watching Downton Abbey today! i’m addicted to Downtown Abbey too, but I agree that these biscotti wouldn’t have come out of that cookie jar. But I’d much prefer these to whatever they did have back then. They look perfect. These look amazing! Will definately have to give these a go! Can not get enough of Downton Abbey!! Biscotti looks so fabulous! 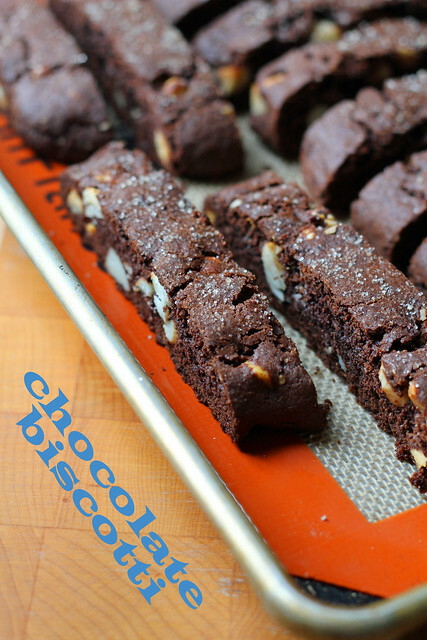 Your biscotti look so perfect – makes me want to make them again. I’m glad you enjoyed them. Oh, yes- loving me some Downton Abbey- it was so darned hard to wait for the 2nd series & now they are tempting us with a 3rd to come.